Must Have of the Day: Karl Lagerfeld's Krazy Party! The Krazy Party FW'17 collection by Karl Lagerfeld finds inspiration from rock star glamour, using a clean and bold pallet with a contemporary sense of shape and tailoring. ALALOSHA also finds playful echoes of the designer's own inimitable style; jacquard dress with geometric shapes, the super-cool leather jacket and the monochrome shades. 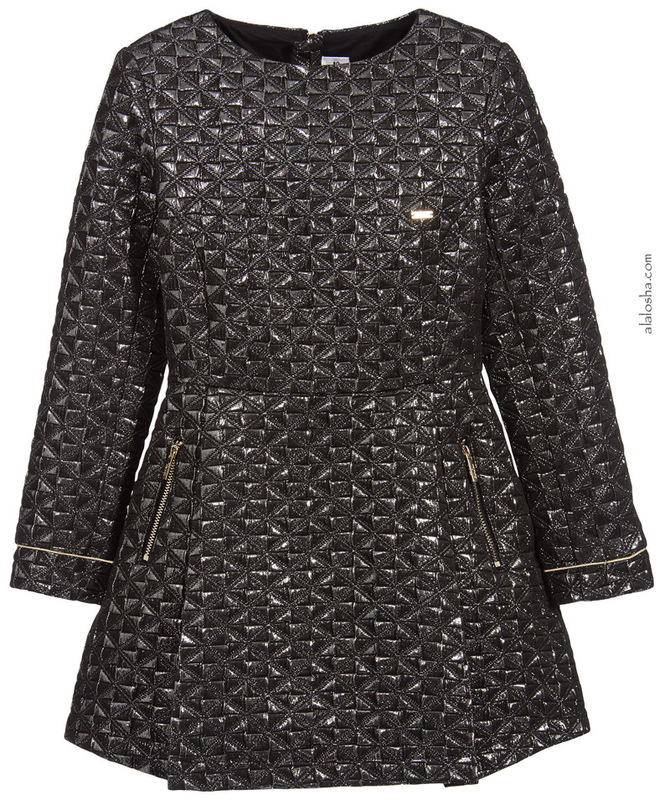 Girls black and silver, 'Krazy Party', jacquard dress by KARL LAGERFELD Kids, with geometric shapes. 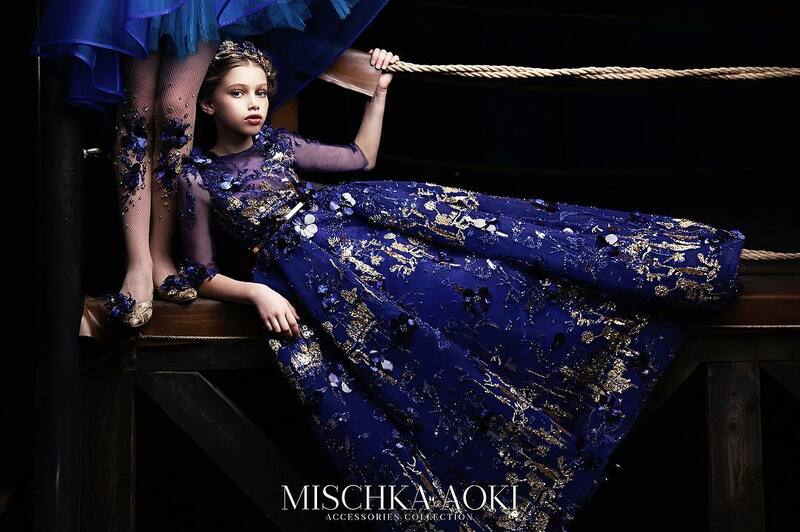 The fitted bodice has the designer's metal logo plate on the chest and the skirt has two front pockets, either side of a wide central pleat, fastening with exposed chunky gold zips with logo pull tabs. The cuffs are piped in gold and there is a further exposed chunky gold zip at the back. 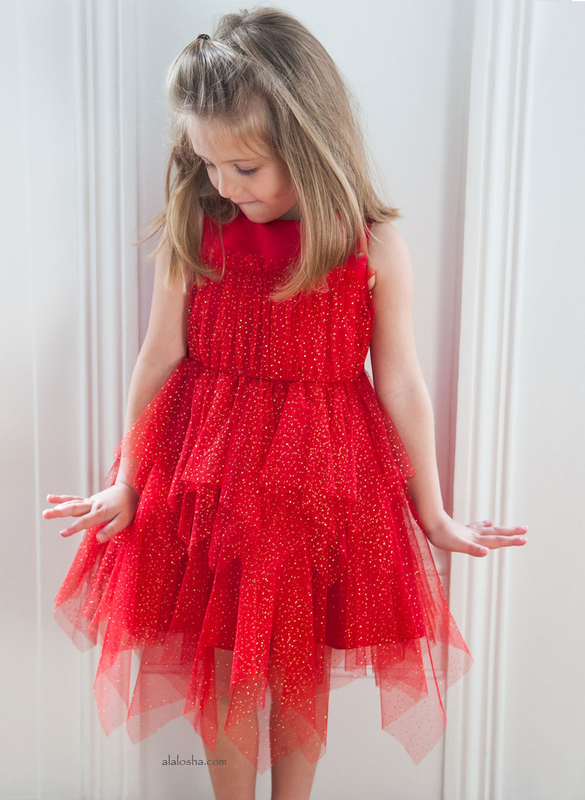 All little girls would love to make an entrance in this cool dress. Girls black and silver, 'Krazy Party', jacquard skirt by KARL LAGERFELD Kids, with geometric shapes. There is an asymmetric hemline and two front pockets, fastening with exposed chunky gold zips with logo pull tabs. A decorative back pocket is trimmed in gold and has the designer's metal logo plate. There is also a useful adjustable waist up to age 10 years and a concealed side zip. A cool skirt that would team well with a black and gold top and black boots. 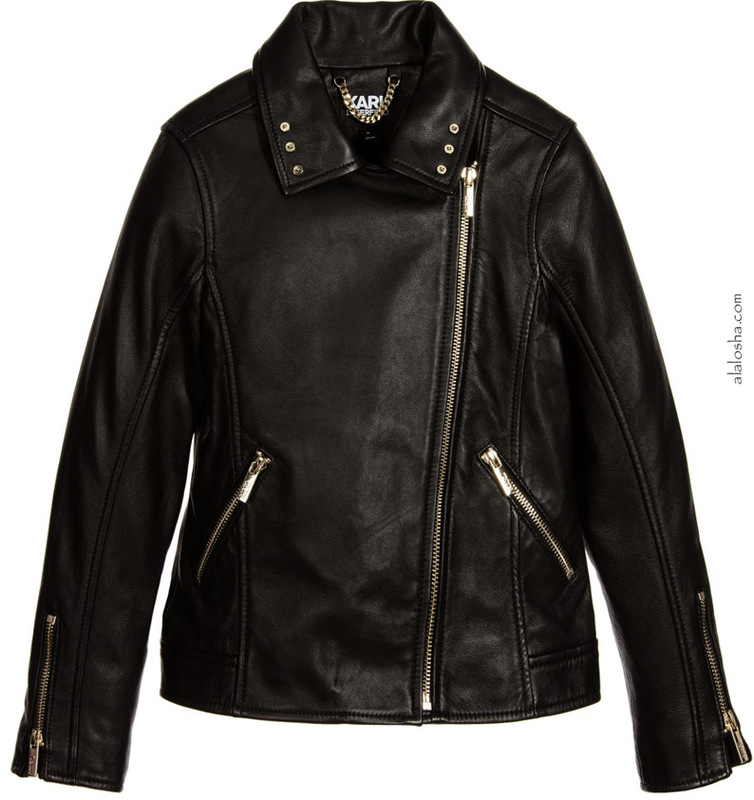 Girls black, super-cool, leather jacket by KARL LAGERFELD Kids, with a chunky, exposed, gold zip fastener on one side, on the two front pockets and also the cuffs. The zips have smart, gold logo pull-tabs and the collar has decorative gold logo rivets. The silky lining is interwoven with a repeated image of Karl. A fabulous jacket that will make any outfit look cool. Girls very smart, 'Wild Block' black evening jacket by KARL LAGERFELD Kids, with piped satin lapels and decorative pockets and a gold metal logo tab sewn under. There is a single button fastener at the front and decorative button fasteners on the cuffs. The silky lining is interwoven with a repeated image of Karl. A fabulous jacket that will look equally stylish with blue denim jeans or smart trousers.